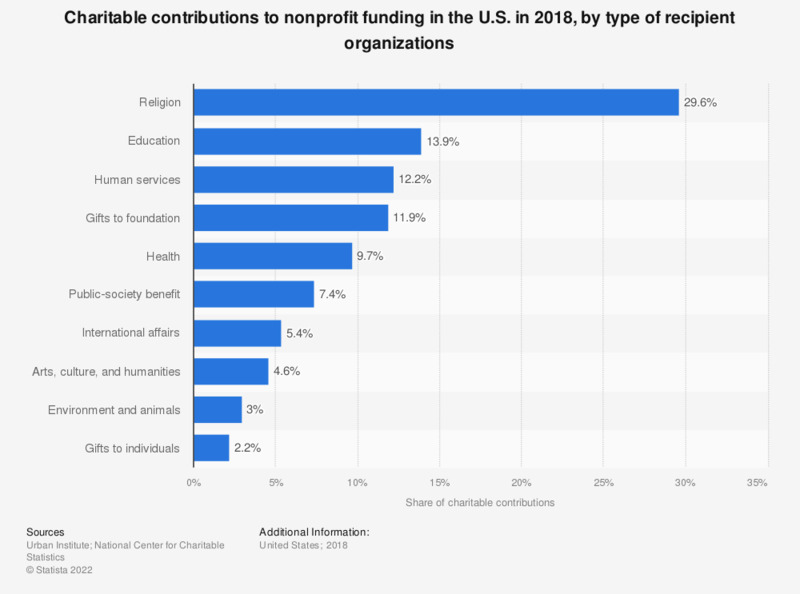 This statistic displays charitable contributions to nonprofit funding in the United States, by type of recipient organizations in 2014. In 2013, almost 5 percent of all charitable contributions went to recipient organizations in arts, culture, and humanities. Everything On "Nonprofit organizations in the U.S." in One Document: Edited and Divided into Handy Chapters. Including Detailed References.